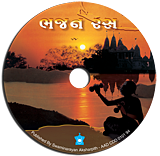 Devotional songs composed by the paramhansas describing the divine form and attire of Bhagwan Swaminarayan. Soothing music and descriptive lyrics helps to create a visual image of Bhagwan Swaminarayan. Sung by sadhus of BAPS.